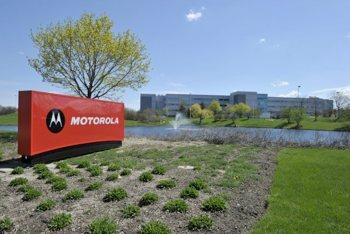 Responding to complaints by Apple and Microsoft, the European Commission, Europe's competition regulator has launched two antitrust investigations into Motorola Mobility to assess whether the firm abused its standard-essential patents with unfair licensing conditions and litigation against rivals. Standard-essential patents are those that are necessary in order for products to operate according to industry standards such as 3G, GSM or H.264. In this case, Microsoft is complaining about access to Motorola's video and wireless patents for its products including Windows and the Xbox, and Apple is concerned about access to separate wireless patents for the iPhone and iPad. Because standards-essential patents are crucial for all market players, standards bodies often require that they are licensed on fair, reasonable and non-discriminatory (FRAND) terms. The investigation will look at whether Motorola has failed to honor this irrevocable commitment made to standard setting organizations by seeking excessive fees and attempting to block sales of products from companies that don't play ball. Motorola is reportedly seeking 2.25% of Apple's sales of wireless devices in exchange for a patent license covering its intellectual property, which would amount to nearly $2.1 billion in retroactive fees from iPhone revenues since 2007. That's before factoring in 3G enabled iPads. Apple contends this is excessive and has filed motions to obtain information on how much other handset vendors are paying in royalty fees to Motorola. In a separate complaint filed February Microsoft provided some additional perspective on the issue. The company is also being asked to pay 2.25% against the final price of products that use H.264, which would amount to $22.50 for a $1,000 laptop, for example. Not only is that way higher than the $0.02-$0.20 per unit Microsoft pays to other H.264 patent holders, but it also scales unfairly with pricier products whose improved specs (a larger HDD, more memory, and so on) bear no relevance to the patents in question. Google, which is about to close its $12.5 billion purchase of Motorola Mobility, has said it will honor FRAND terms for standards-essential patents. However, that will not exonerate any wrongdoing concerning patents by Motorola in the past, which could result in Google ultimately picking up the bill. The commission can fine companies up to 10% of their annual income if found guilty of antitrust violations. In other words, if Europe sides with Microsoft and Apple, Google could be in for a bad case of buyer's remorse.